George Balanchine famously said “See the music, hear the dance.” For Balanchine, true ballet required the total integration of music and dance. When he founded the New York City Ballet after the War as Ballet Society, the Company included a full orchestra—and this orchestra has played for every performance of the New York City Ballet in its home theater ever since. With a schedule of seven performances each week of rotating repertoire, the 62 members and three associate members of the New York City Ballet Orchestra perform together over 200 times each year an active repertoire of more than 250 ballets. The Orchestra’s first music director, Leon Barzin (1948- 1963), was followed by Robert Irving, known to all his friends and colleagues as “the Duke.” The Duke led the orchestra from 1963-1989, and was part of a triumvirate, along with George Balanchine and Lincoln Kirsten, who inspired and guided the Company through its early years. From 1989 until 2000, the orchestra’s music director was Gordon Boelzner. In 2000, Andrea Quinn was appointed to the post. In 2006, Faycal Karoui assumed the position. 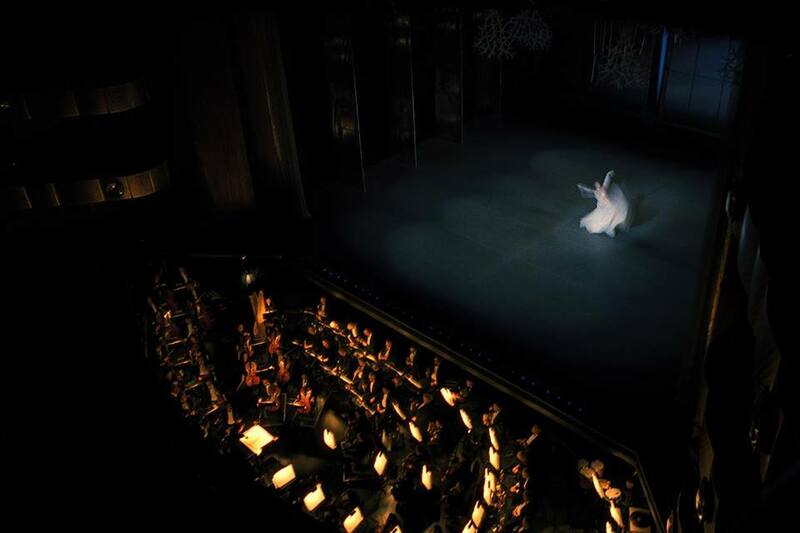 The New York City Ballet Orchestra’s CD of The Nutcracker, released with the feature film of the NYCB production of the ballet, has become the standard for performances of the work. Under the baton of Robert Irving, the orchestra released many recordings of the varied repertoire that accompanies much of Mr. Balanchine’s legendary choreography. In many cases, the music exists as a result of partnerships between Mr. Balanchine and the composer. Stravinsky’s Agon and Hindemith’s The Four Temperaments are two examples of these collaborations and can be found on the New York City Ballet Orchestra’s historical recordings. At the farewell performance of the conductor Maurice Kaplow on Thursday night, something so refreshing occurred at New York City Ballet that you want it to happen at least once a season. After the first intermission, the floor of the orchestra pit at the David H. Koch Theater rose until there was no pit. Mr. Kaplow raised his baton, and Carl Maria von Weber’s overture to “Euryanthe” began. The audience, which so often takes the orchestra for granted, paid new attention. The players rose to the occasion. The balance of different orchestral sections — especially in the intimate central part—was especially fine. On December 16, 2014, it was announced that Andrew Litton was named Music Director of the New York City Ballet Orchestra; he officially began in September of 2015 with Tchaikovsky’s “Swan Lake”. To learn about our individual members, please visit Meet the Musicians and click on the links to individual bios.